First, you can use the overall form of a tree to aid in recongnition. The tree's form involves its shape, size and the patter of the branches. 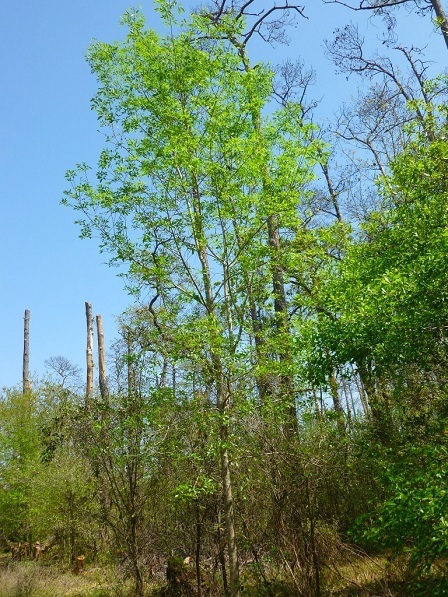 For example, a Green Ash has a spreading crown of limbs, creating an oval shape. Next, looking carefully at the leaves can also help you to identify a tree. The Green Ash as compound leaves, that is, each leaf has a central stem up to a foot long with from 7 to 9 separate leaflets growing from it. On the Green Ash, the leaves grow directly opposite each other. The color of the leaf is also important in identification - in this case a dark, glossy green above, with a lighter shade of green on the undersides. The texture, color and thickness of the tree's bark can ai indentification, especially in winter when many trees lack leaves. 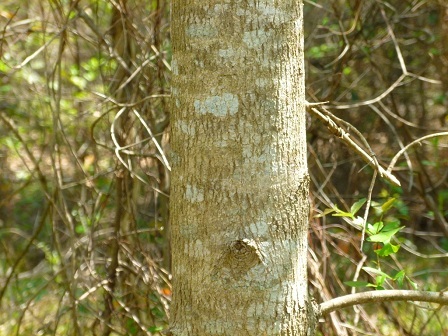 The gray to brown bark of the Green Ash has an indentifiable pattern of narrow ridges throughout it. Finally, where the tree is growning is an important clue. Is it normally found in this part of the state? Does it grow in the sun or the shade? In a wet or dry climate? What kind of soil does it prefer? For example, Green Ash can be distinguished from the very similar Texas Ash because Texas Ashes don't typically grow in the clay-filled gumbo soil of Houston; they prefer the limestone areas of north central Texas and across the Edwards plateau.